There is no greater authority on the saints than Alban Butler, and his enormous research has been the standard reference on the subject for the last two and a half centuries. This new adaptation of Butler's multi-volume "Lives of the Saints" presents a modernized text for today's reader and provides an illuminating guide to these historic, symbolic, and foundational Christian men and women. 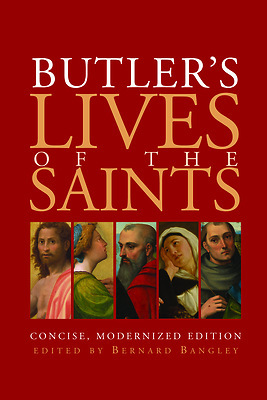 Butler's daily readings from the lives and works of the saints offer readers of all backgrounds the opportunity to engage directly with these great figures. Butler's distinctive contribution to stories about saints was to turn attention away from the superhuman, miraculous themes that are prevalent in earlier works. He gives us saints who are examples of Christian living, who provide inspiration for our own lives, in every time and circumstance. As Butler writes: "They were once what we are now, travelers on earth. They had the same weaknesses we have. We have difficulties; so had the saints." Important features of this version include mention of recently canonized saints as well as those whose path to official sainthood is still in progress. Also included in the daily readings are more obscure saints whose lives and contributions to Christianity should not be forgotten.